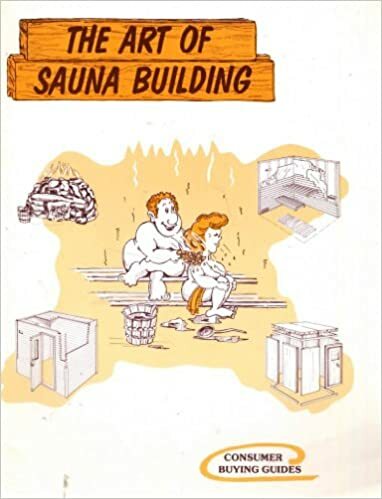 It is very easy to build your own sauna when you use "The Best" DIY sauna kit that includes over 44 parts - the right materials, the right lengths of cedar and great instructions. "The Best" DIY sauna kit has the finest features and the best quality of any sauna kit on the internet. Building Time: 14 to 24 hours not including framing and insulating time. Tools Needed: Hammer, handsaw, tape measure, square, nail set, drill/cordless screwdriver, miter box (for trimming). A pneumatic nailer/stapler helps speed up installation. Mobility: This is a permanent sauna installation. Framing Size - the sauna space must be framed (normally using 2"x4" studs at 16" centers) and insulated with R12 or R13 insulation. Example: A 5'x7' sauna room should measure 5'x7' (inside measurements). Sauna height should be 7' for optimum performance - except for very large sauna rooms. >>... Learn more - How to Frame a Sauna Correctly. Door Location - the wall dimensions on either side of the door need to be confirmed. The door rough opening is 26"x75". >>... Learn more - See Door Location in Floor Plans & Layouts. Sauna Door Specs - the standard sauna door rough opening is 26"x75". The always door swings outwards either left-hung or right-hung. The hang of a door is defined by the location of the hinges when looking at the sauna door from the outside. For example, a right-hinged door (or right-hung door) has the hinges on the right as it opens toward you. Please specify left/right when ordering. >>... Learn more - How to Plan for the Sauna Door. Sauna Floor Specs - Installing ceramic floor tiles with a 2"-3" vertical lip along the edge is the classiest finish of the floor. A floor drain is not needed. The alternative to a concrete floor is to apply a coat of concrete floor sealer or grey concrete floor paint or order the duckboard lay-down floor. >>... Learn more - How Sauna Floors are Finished. Sauna Wiring Specs - wiring to the sauna needs to be supplied by you or your electrician. >>... Learn more - Sauna Heater Wiring. T&G Lengths for the Ceiling - the T&G ceiling boards are normally supplied in the shortest length for easier installation. The ceiling should be framed to accommodate the ceiling boards to this specification. >>... Learn more - How to Plan for the Best Ceiling.